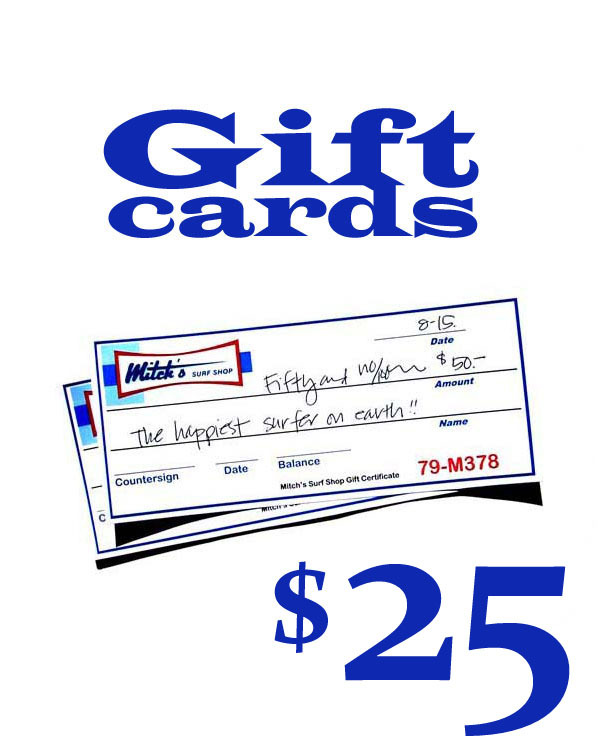 The $25 Mitch's Surf Shop Gift Card - used for any purchases at Mitch's Surf Shop. We can mail them to your friends and family! Click the "QTY." button below for multiples of $25. Click on the the pictures below for larger amounts. When ordering, tell us who the card is for and who is sending it in the "Special Instructions" box.